I've been a Citrus Lane subscriber for a few months now, and have always been very impressed with the boxes before. The brands they feature are great, and the value was always well above the price of the box itself. This month I was happy with the brands featured, and the combined value of the box was $40, plus coupon codes for the products. Citrus Lane is a monthly subscription box that is catered to the age and gender of your child. The box features full sized products, and it also usually includes something special for mom - either a beauty product, chocolate, or a gift card. The price point is $25 a month or you can opt for a 3, 6, or 12 month subscription (each subscription is discounted a bit more than the previous). Once you have signed up, you can also receive referral credit for your friends. Use this link to Citrus Lane to save $10 off your first month! These dishes are dishwasher safe - not recommended for the microwave - and BPA free. They are a nice size for toddlers, and come in an array of animals. 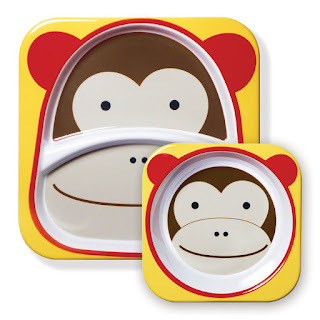 Hannah received the monkey set, and while it wouldn't have been the animal *I* would have picked, she likes it and that's all that really matters. I had never heard of this brand, but immediately recognized the Hungry Caterpiller from Eric Carle on the front. 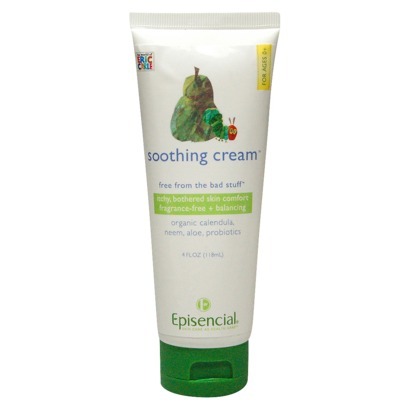 It turns out that this soothing creme is perfect for eczema - which Hannah usually has flares of during winter months - so the timing was perfect and I'm excited to try it out. With a newborn on the way, and cold & flu season upon us, I find myself eyeing the shopping carts at stores a little more skeptically then usual. 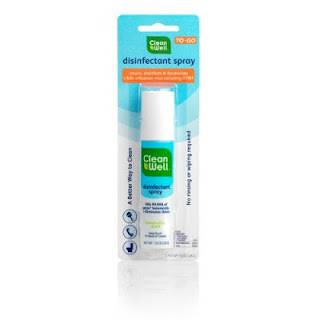 While I try not to be a germaphobe, I also hate the idea of a sick toddler, so I immediately popped this little bottle of disinfectant spray in my diaper bag. Hannah is ALL about singing lately. From making up her own tunes to learning all the words to her favorite cartoon jingle, our home is filled with song. 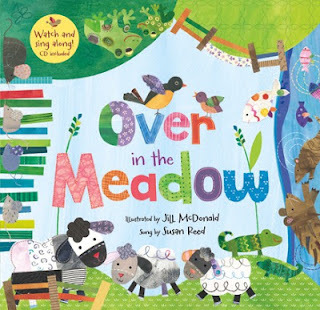 This book is advanced - making it perfect for bedtime reading - and features animals found int he meadow. It also includes a CD with an animated video and a sing-along track. Big JJ Cole Sale Starts Tomorrow!